Our company specializes in Women`s Clothing. 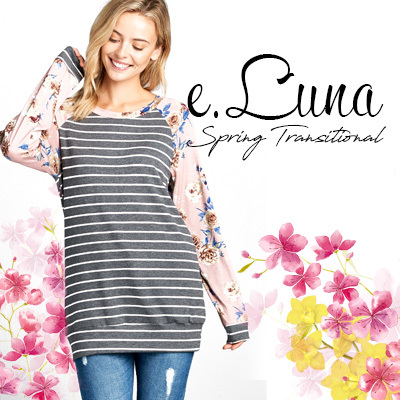 We offer the latest trends and fashionable cardigans, tops, and dresses. We also accept orders that needs special designs or quantities. Our team focuses on the best quality of customer service and shipping. Our same-day-shipping cut-off time is 4:30 PM PST (Payment needs to be processed by that time.) For more information, please contact us.